Appeal against the regulator's variation of the appellant’ authorisation to provide claims management services. 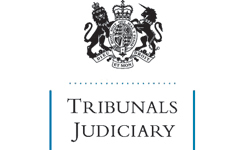 CANCELLATION OF AUTHORISATION–company providing, or purporting to provide, service of relieving customers of their debts–business method incapable of succeeding–misleading advertising–whether cancellation of authorisation merited–yes–whether cancellation correctly carried out–yes–appeal dismissed. Application for Permission–applicant with recent conviction for conspiracy to make false instruments and sentenced to 33 months imprisonment–application refused-application of Compensation (Claims Management Services) Regs 2006, reg 10–whether refusal correct–yes–appeal dismissed.